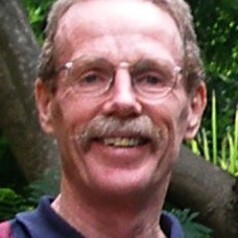 Nigel Taylor is a human stress physiologist with over 30 years of research experience, and with particular research emphases within exercise physiology, temperature regulation, and work-based physical and physiological assessments and interventions (occupational physiology). His research training was based in Europe and North America, and included extensive involvement with Defence organisations from both continents. He participates in a six-way research collaboration (Environmental Physiology and Ergonomics Research Exchange) involving leading research laboratories in France, Japan, Slovenia, Sweden and the United Kingdom. Nigel’s research often focuses upon the interface between the worker and the environment, and how human performance may be optimised under physical and environmental extremes. He has an extensive research background, with more than 300 publications. Nigel is the Chair of the IUPS Advisory Committee for Thermal Physiology and Pharmacology. He is the Reviews Editor for the European Journal of Applied Physiology and an International Editorial Board member for seven other refereed journals. He has now left the University of Wollongong.